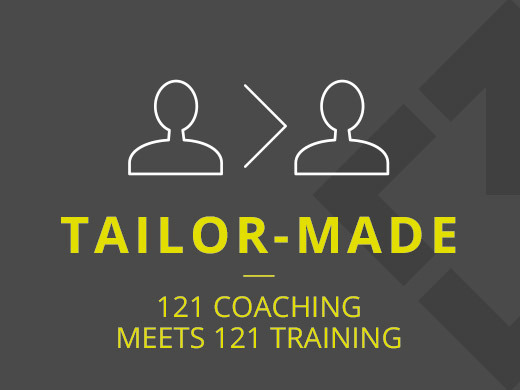 Our unique Tailor-Made solution: Where 121 coaching meets training! It is often assumed that an individual needs a certain type of training (eg time management, confidence building etc). However, we often need to ask better questions to get 'under the bonnet' and find out what the real issue is and the right skill training can then be delivered. We have a one-of-a-kind three-part approach that starts with a short coaching session with your team member to understand the 'gap'/training need, moves to tailored 121 skills training for them and finishes with 'back to the desk' activities to embed things - from Just £149 plus VAT. 121 exec coaching for senior managers ad directors. our coaching helps you focus on what's needed and gives you the motivation to make it happen.